Apple TV 4 to Make September 10 Event? 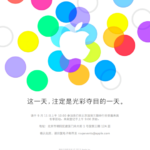 Apple is widely expected to introduce the next-generation iPhone(s) on September 10, 2013. The rumour mill has been talking about two new models — iPhone 5S and iPhone 5C — but what other product line can we expect to see refreshed? 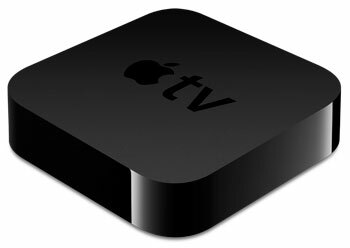 GigaOm says the Apple TV is the most likely candidate. According to a blog post signed by the New York–based global trade intelligence platform Panjiva, Apple received a shipment described as set-top-box with communication function from BYD Precision Manufacture in Shenzen, China. This shipment followed another two shipments: one on August 11, and the other a week later, on August 18. Both were described as being set-top-boxes. Unfortunately, Panjiva doesn’t have information about the exact size and shape of the aforementioned products Apple received, so we can’t tell whether these are the much-rumoured iTVs or Apple TVs, but the latter is most likely. As MacRumors points out, Apple typically refreshes Apple TV devices every 377 days, so an upgrade is way overdue: Apple TV 3 was released back in March 2012. It needs to be mentioned, though, that the current Apple TV received a smaller A5 chip in 2013. From this perspective, an Apple TV refresh sounds imminent, and the company has been focussing on this product lately, making it more attractive by adding more content.